How many boxes will I need for my move? Calculate how many boxes you need in advance. You will save time and money and avoid running out multiple times to get more boxes or spending money on boxes you don’t need. We have created a handy graph to give you an estimate of how many boxes you’ll need based on the size of your home. The longer you have lived in your home, the more stuff you have. 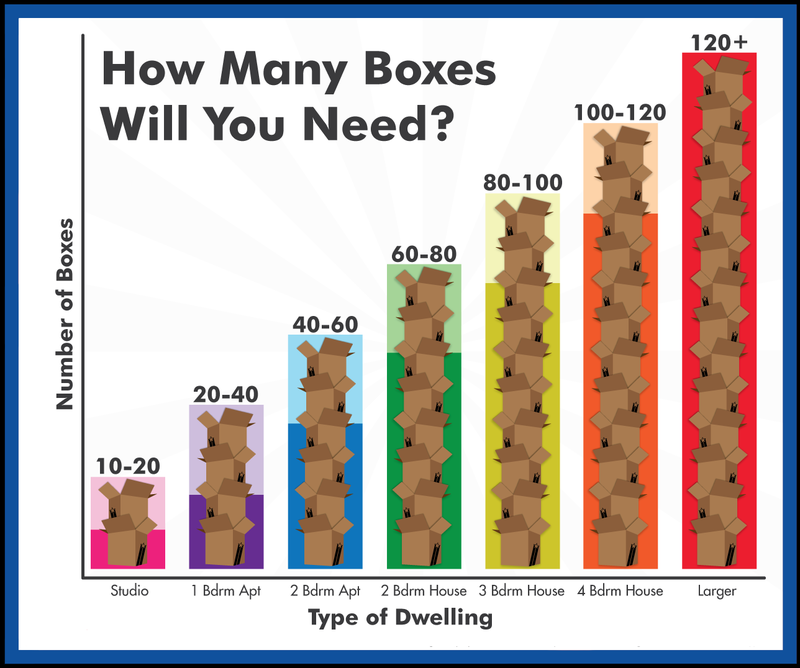 If you have lived in your home for more than five years buy the higher number of boxes for your move. Purchase moving boxes made of 100 percent recyclable materials. After your move you can sell your used boxes on Craigslist.